I’ve always been fascinated with documenting the human/animal bond, and seeing that bond in action time and time again is deeply moving to me. The trust and affection our dogs give us—and the comfort that comes from that—is unlike anything else in the human experience. It’s an honor and a pleasure for me to witness how dogs enrich our lives, and I take pride in celebrating each and every one of my subjects in a truly genuine and personal way. Our animals are so much a part of us; getting to the heart of that with an image is everything. 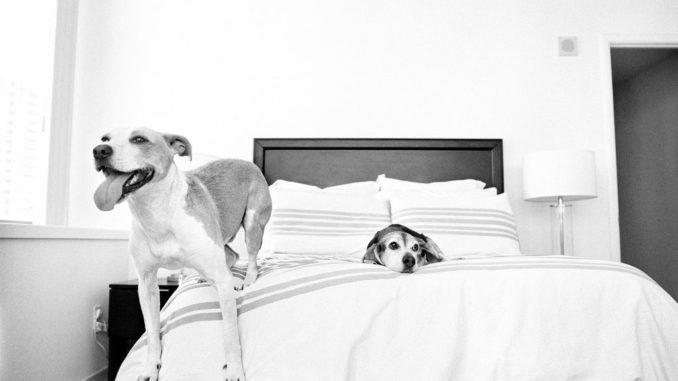 Jesse Freidin is one of America’s leading fine-art dog photographers. His portraiture studies the deeply healing power of the human/animal bond, and tells a contemporary story of companionship and love that honors the role dogs play in our modern lives. Jesse’s dog portraits are in private collections throughout the United States, and have been exhibited in galleries from coast to coast. His work has appeared in Vogue, Cosmopolitan, Yahoo!, The Huffington Post, The New York Post, Garden and Gun Magazine, The Bark, Four and Sons Magazine, Inside Edition, Modern Dog Magazine, Professional Photographer Magazine and many more. Jesse works out of his North Adams, Massachusetts studio with private dog photography and commercial clients in San Francisco, Los Angeles, New York and Boston. Get to know him at jessefreidin.com.